Object Name: M 5 (NGC5904) and STF 1930 in Serpens constellation. Association of Madrid (Agrupación Astronómica de Madrid) in Bonilla, Cuenca. The weather was good and the temperature was around 3º C.
with us during the warm summer nights. 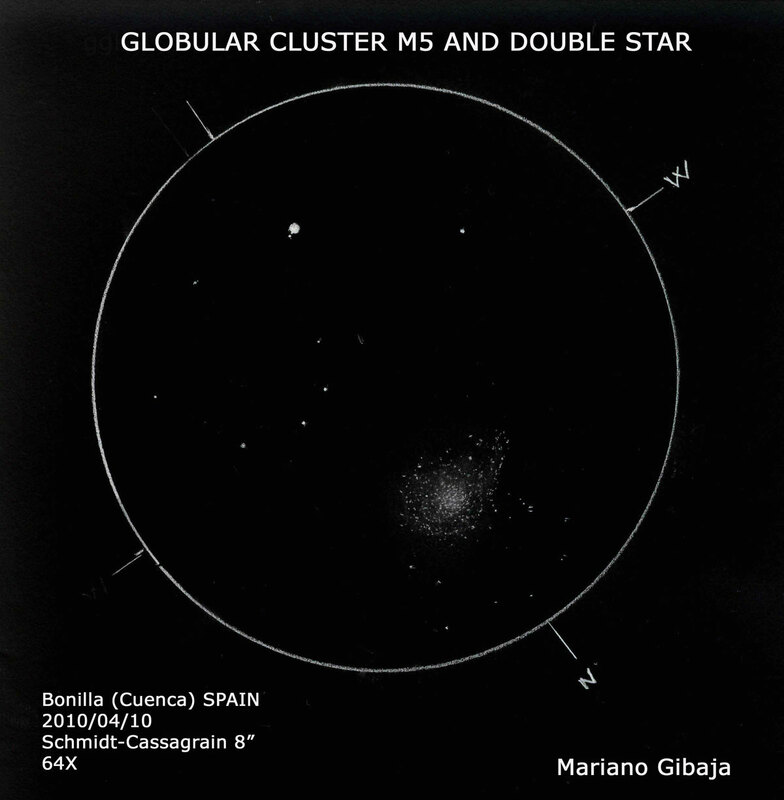 I consider this globular cluster to be ideal and your sketch of it is the true eyepiece view. It has a bright dense core and the stars radiate out like the blades of a pinwheel. Superb work. The wonderful drawing emphasizes exactly why M5 is sometimes called “The Rose”. The stars are arranged in arcs resembling the appearance of a rose from above. Thank you very much for your comments. It’s a great motivation to make new drawings. Thanks to ASOD for publishing my work.